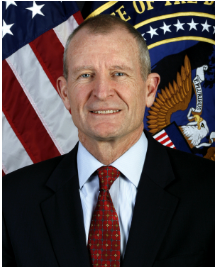 Admiral Dennis Blair currently serves as a director and advisor to National Bureau of Asian Research (NBR), Sasakawa Peace Foundation, the Commission on the Theft of American Intellectual Property, the Energy Security Leadership Council of Securing Americas Future Energy, and Freedom House. Admiral Blair has also served on the Institute for Defense Analyses, a federally funded research and development center, that supports the Department of Defense, the Department of Homeland Security, and the Intelligence Community; the Atlantic Council; Project for National Security Reform; the National Committee on U.S.-China Relations; Lockheed Martin Space Systems; and The Aspen Institutes Homeland Security Group. Admiral Blair has also authored, Military Engagement: Influencing Armed Forces Worldwide to Support Democratic Transitions, published in June 2013.